ALCHEMY AND METALLIC MEDICINES IN AYURVEDA. 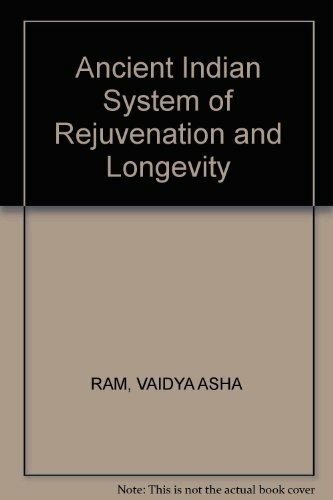 ANCIENT INDIAN SYSTEM OF REJUVENATION AND LONGEVITY. 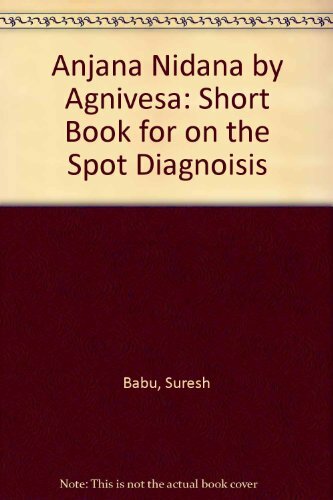 ANJANA NIDANA by Maharsi Agnivesa: A Short Book on the Spot Diagnosis. AROGYA RAKSA KALPADRUMAH: Kerala's Tradition of Ayurvedic Pediatric Care. ASHTANGA SAMGRAHA: Multiple Choice Questions for Degree Examination and Post-Graduate Entrance Tests. ASTANGA HRDAYAM OF VAGBHATA:Sutra Sthana. 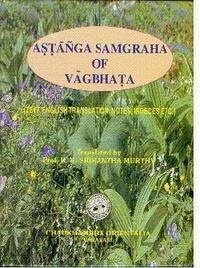 ASTANGA SAMGRAHA OF VAGBHATA'S : Text with English Translation, Notes, Index & Sloka Index, 3 vols. ASTHMA SWASA ROGA AND AYURVEDA. AWAKENING NATURE'S HEALING INTELLIGENCE: Expanding Ayurveda Through The Maharishi Vedic Approach To Health. AYURVEDA AAHAR: Food , Diet. AYURVEDA AND THE MIND: The Healing Of Consciousness. This book explores how to heal our minds on all levels to create wholeness. AYURVEDA ENCYCLOPEDIA: Natural Secrets To Healing, Prevention, & Longevity. AYURVEDA FOR CHILD HEALTH CARE. AYURVEDA ITS PRINCIPAL & PHILOSOPHIES. AYURVEDA LIFE, HEALTH AND LONGEVITY. Contains a full description of Ayurveda on all levels from diet and herbs to yoga and meditation, explaining both Ayurvedic diagnostic and treatment methods. AYURVEDA PANCHAKARMA: Five Purification Procedures. AYURVEDA REVISITED: Ayurveda in the Light of Contemporary Medicine. AYURVEDA SECRETS OF HEALING: The Complete Ayurvedic Guide To Healing Through Pancha Karma Seasonal Therapies, Diet, Herbal Remedies And Memory. The complete Ayurvedic guide to healing through pancha karma, seasonal therapies, diet, herbal remedies and memory. AYURVEDA THE SCIENCE OF LIVING: Health and Vigour Forever. AYURVEDA THERAPY, Revised & Enlarged Ed. AYURVEDA: A Way Of Life. AYURVEDA: The Gentle Health System. AYURVEDA: The Science Of Self-Healing (A Practical Guide). AYURVEDA: The Science Of Traditional Indian Medicine. AYURVEDIC BEAUTY CARE: Ageless Techniques To Invoke Natural Beauty. Techniques for achieving and preserving beauty including facial massage, aromatheraphy and Ayurvedic practice in self-help guide. AYURVEDIC COOKBOOK: A Personalized Guide To Good Nutrition And Health. 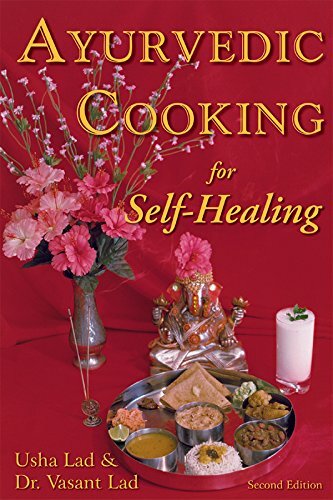 AYURVEDIC COOKING FOR ALL: Familiar Food Prepared With Ayurvedic Principles. AYURVEDIC COOKING FOR WESTERNERS: Familiar Western Food Prepared With Ayurvedic Principles. Includes 200 recipes for healthful living, prepared from ingredients easily available in the West. AYURVEDIC FORMULARY OF INDIA: 2: VOLS. SET. AYURVEDIC GUIDE TO DIET & WEIGHT LOSS: The Sattva Program. 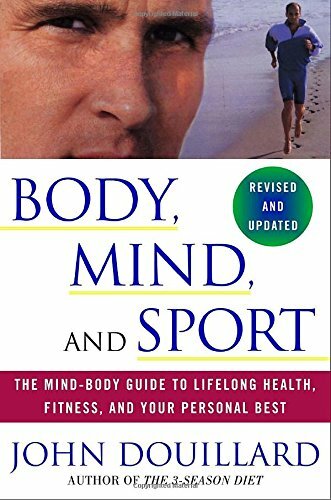 This extraordinary book presents a time-tested, simple, and medically sensible approach to weight loss and maintenance. As botha qualified MD and trained Ayurvedic physician with many years of experience in a clinical setting applying both Western and Ayurvedic approaches. AYURVEDIC GUIDE TO POLARITY THERAPY, HANDS-ON HEALING: A Self-Care Guide. Morningstar explores how you can personally use these two vitally rejuvenative systems for your own self-healing. AYURVEDIC HEALING FOR WOMEN: Herbal Gynecology. AYURVEDIC HEALING: A Comprehensive Guide, 2nd Revised and Enlarged Edition. Presents the Ayurvedic treatment of common diseases, covering over eighty different ailments from the common cold to cancer. AYURVEDIC MANAGEMENT OF STROKE (HEMIPLEGIA). 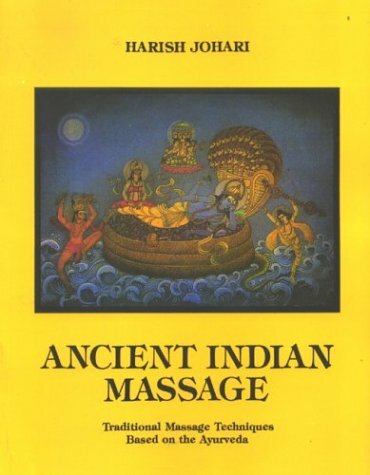 AYURVEDIC MASSAGE FOR HEALTH AND HEALING: Ayurvedic And Spiritual Energy Approach. AYURVEDIC MEDICINES: Self-made Ayurvedic Medicines at Home. 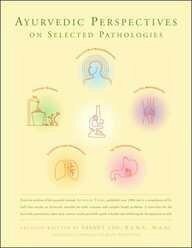 AYURVEDIC PERSPECTIVES ON SELECTED PATHOLOGIES: An Anthology of Essential Reading from Ayurveda Today. AYURVEDIC PHARMACOPOEIA OF INDIA: PART: 1: Vols. 1 to 5. AYURVEDIC REMEDIES: AYURVEDIC CURES FOR COMMON DISEASES. AYURVEDIC REMEDIES: For The Whole Family. AYURVEDIC SYSTEM OF MEDICINE: Or An Exposition In English Of Hindu Medicine As Occuring In Charaka, Susruta, Bagbhata And Other Authoritative Sanskrit Works Ancient And Modern, 2 Vols. AYURVEDIC SYSTEM OF PATHOLOGY: Roga Nidanam. AYURVEDIC TECHNICAL STUDIES AND HERBAL COSMETICS OF ANCIENT INDIA. AYURVEDIC TREATMENT FOR COMMON DISEASES. AYURVEDIC ZONE DIET: The Ancient Way To Health Rejuvenation & Weight Control. This book combines the ancient widsom of Ayurveda for health and healing with a modern scientific approach to body typing physiology. AYURVEDIYA KRIYA SARIRA: A Text Book of Ayurvediya Physiology. BALA VEDA: Pediatrics And Ayurveda. BASIC PRINCIPLES OF AYURVEDA: Based On Ayurveda Saukhyam Of Todarananda. BASIC PRINCIPLES OF KRIYA SHARIRA: A Treatise on Ayurvedic Phyiology: As per CCIM Syllabus. BEAUTY & HEALTH THROUGH AYURVEDA. BHAISAJYA KALPANA VIJNANAM: A Science of Indian Pharmacy. BHAISAJYA RATNAVALI OF SHRI GOVINDA DASJI, 3 Vols. Set. BHAVAPRAKASA OF BHAVAMISRA: Text, English Translation, Notes, Appendices And Index, 2Vols. Vol 1: Including Nighantu Portion, Vol. 2: Madhya and Uttara Khanda. BIOGENIC SECRETS OF FOOD IN AYURVEDA. BOPADEVA SATAKAM: Sata Sloki, One Hundred Efficacious Recipes. BOTANICAL AND MEDICINAL PLANTS: As Depicted In Ancient Texts, Art & Archaeology From Dawn Of Civilization To The Modern Age, 2 Vols. BRHATTRAYI PRASNAVALI: Brief Notes & Multiple Choice Questions From Caraka, Susruta and Astanga Hrdaya Samhitas with comparative analysis, For All P.G. Entrances and Competitive Tests. BRONCHIAL ASTHMA CARE IN AYURVEDA AND HOLISTIC SYSTEMS. CANCER AND AIDS: Their Care/Cure in Ayurveda and Other Health Sciences. CARAKA SAMHITA: Agnivesa's Treatise Refined And Annotated By Caraka And Redacted By Drdhabala, 4 Vols. Text With English Translation. CHILD HEALTH CARE IN AYURVEDA. CHINESE HERBAL MEDICINE: Made Easy, Natural And Effective Remedies For Common Illnesses. CHINESE MASSAGE MANUAL: A Comprehensive Step by Step Guide to the Healing Art of Thi Na. CHINESE WAY TO HEALTH: A self-help Guide to Traditional Chinese Medicine. CHYAWANPRASH: From Vedic To Genomic Era. CLINICAL APPLICATION OF AYURVEDIC REMEDIES : And A List Of Ayurvedic Preparations. COMPARATIVE STUDY OF AYURVEDA AND TREATMENT BY INDIAN DRUGS. COMPLETE BOOK OF HOME REMEDIES. COMPLETE FENG SHUI HEALTH HANDBOOK: How You Can Protect Yourself Againest Harmful Energies and Create Positive Forces for Health and Prosperity. The Chinese art of Feng Shui has existed for more than 5,000 years, surrounded by a mysterious and mystical aura. COMPLETE HERBAL: Including The English Physician Enlarged With Illustrations. CONCEPT OF AMA IN AYURVEDA. CONCEPT OF ATATTVABHINIVESHA IN AYURVEDA. CONCEPT OF LEKHANA IN AYURVEDA. CONCEPTUAL AND CILINICAL STUDY OF ARDITA VATA: Facial Palsy. CONQUERING CHRONIC DISEASE THROUGH VEDIC MEDICINE: The Complete Ayurvedic Approach toTreating Chronic Complaints Without Side Effects. CRITICAL STUDY OF VAMANA'S KAVYALANKARASUTRANI. DHANWANTARI: How India's Ancient Art Of Living And Healing Can Give You A Healthier, Happier, More Joyous Life? DIABETES AYURVEDIC HERBAL PALLIATIVE THERAPY. DIABETES MELLITUS (MADHUMEHA) AND AYURVEDA. DIETARY RULES & PROHIBITIONS IN DIFFERENT DISEASES: Based on Bhaisajya Ratnavali. DIGESTIVE DISEASE: Acidity, Constipation, Diarrhoea, Gastritis, Piles Ulcer, Vomiting Worms. DOLMA & OLKAR: Mother of tibetian medicine. EASY GUIDE TO AYURVEDA: The Natural Way To Wholeness, Basic Principles, Practices, And Routines For Total Well-Being, Rapid Spiritual Growth, And Effective Living. EIGHT-HUNDRED YEAR OLD BOOK OF INDIAN MEDICINE AND FORMULAS: Translated From The Original Very Old Hindi Into Gujarati Character And Thence Into English. ENCYCLOPAEDIA OF INDIAN MEDICINE, 6 Vols, Vol. 1: Historical Perspective, Vol. 2: Basic Concepts, Vol. 3: Clinical Examination And Diagnostic Methods. ENCYCLOPAEDIA OF TIBETAN MEDICINE: Being The Tibetan Text Of Rgyud Bzi And Sanskrit Restoration Of Amrta Hrdaya Astanga Guhyopadesa Tantra And Expository Translation In English, Vol. 2: B'sad Pa'I Rgyud Or Akhyata Tantra or Explanatory Text. ENCYCLOPAEDIA OF TIBETAN MEDICINE: Being The Tibetan Text Of Rgyud Bzi And Sanskrit Restoration Of Amrta Hrdaya Astanga Guhyopadesa Tantra And Expository Translation In English, Vol. 3: Regimens For Different Parts Of Day Or Sadacara-Dina-Carya. ENCYCLOPAEDIA OF TIBETAN MEDICINE: Being The Tibetan Text Of Rgyud Bzi And Sanskrit Restoration Of Amrta Hrdaya Astanga Guhyopadesa Tantra And Expository Translation In English, Vol. 4: Surgical Instruments Or Yantra-Sastra-Vidhi. ENCYCLOPAEDIA OF TIBETAN MEDICINE: Being The Tibetan Text Of Rgyud Bzi And Sanskrit Restoration Of Amrta Hrdaya Astanga Guhyopadesa Tantra And Expository Translation In English, Vol. 5: Three Nes-Pas Or Tridosa Vijnana. ENCYCLOPAEDIA OF TIBETAN MEDICINE: Being The Tibetan Text Of Rgyud Bzi And Sanskrit Restoration Of Amrta Hrdaya Astanga Guhyopadesa Tantra And Expository Translation In English, Vol. I- Rtsa Rgyud Or Mula Tantra Or Fundamental Treatise. END OF THE 18th CENTURY, STUDY OF INDIAN, ARABIAN, EGYPTIAN, GREEK MEDICINE. ESSENTIALS OF AYURVEDA: Text And Translation Of Sodasangahrdayam. ETERNAL HEALTH: The Essence Of Ayurveda. EXPANDING LIGHT COOKBOOK: Vegetarian Favorites. FIVE SPECIALISED THERAPIES OF AYURVEDA, PANCA-KARMA: Based On Ayurveda Saukhyam Of Todarananda. FLUX OF EXISTANCE AN AYURVEDIC VISION: Study of Pancamahabhuta and Brahma Anyakta. FOR A BLISSFUL BABY: Healthy and Happy Pregnancy with Vedic Medicine. FOREVER HEALTHY: Preventing and Treating Disease through Timeless Natural Medicine. FOUNDATIONS OF AYURVEDA: An Anthological Approach. FREEDOM FROM DISEASE: How to Control Free Radicals, A Major Cause of Aging and Disease, Prevention-Oriented Natural Health Care System Through Ayuy- Ved. FUNDAMENTAL MAXIMS OF AYURVEDA: Prepared For The Common People. FUNDAMENTALS OF TIBETAN MEDICINE: According to the Rgyud-Bzhi. GLOSSARY OF INDIAN HERBS: With Botanical Names & Vernacular Synonyms. HAND BOOK OF AYURVEDIC MEDICINE. HAND BOOK OF HISTORY OF AYURVEDA. HANDBOOK OF CLINICAL AYURVEDA PRACTICE. HAZARDS OF MERCURY IN AYURVEDIC DRUGS. HEALING AND TREATMENT OF DISEASES THROUGH WATER. HEALTH & LONGEVITY THROUGH AYURVEDA, YOGA & NATURE CARE. HEALTH AND DISEASE IN AYURVEDA AND YOGA. HEALTH AND HARMONY THROUGH AYURVEDA. HEALTH CARE OF TEMPERAMENTS AND CONSTITUTIONAL DEFECTS. HERBAL TREATMENT FOR ASTHMA AND BRONCHITIS. HERBAL TREATMENT FOR HIGH BLOOD PRESSURE AND SLEEPLESSNESS. HERBAL TREATMENT FOR PEPTIC ULCER. 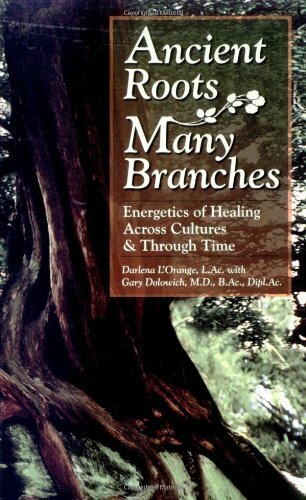 HERBS OF LIFE : Health & Healing Using Western & Chinese Techniques. HISTORY OF INDIAN MEDICINE: Containing Notices, Biographical And Bibliographical, Of The Ayurvedic Physicians And Their Works On Medicine, From The Earliest Ages To The Present Time, 3 Vols. HISTORY OF MEDICINE IN INDIA: The Medical Encounter. HOME DOCTOR: Natural Healing Herbs, Condiments and Spices. HOME GUIDE TO MEDICAL EMERGENCIES. HOME REMEDIES: To Prevent and Cure Common Aliments. ILLUSTRATIONS OF AYURVEDIC SURGERY AND PHARMACEUTICS. INDIAN ALCHEMY OR RASAYANA: In the Light of Asceticism and Geriatrics. 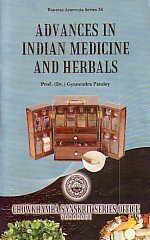 INDIAN MATERIA MEDICA: With Ayurvedic, Unani-Tibbi, Siddha, Allopathic, Homeopathic, Naturopathic & Home Remedies, Appendices & Indexes, 2 Vols. INDIAN MEDICINAL PLANTS: A Compendium Of 500 Species, 5 Vols. INDIAN MEDICINAL PLANTS: Their Usage In Ayurveda And Unani Medicines, 11 Vols. INTRODUCTION TO AYURVEDA: For Everyone. INTRODUCTION TO NIGHANTUS OF AYURVEDA. JATHAKA SARA DHEEPA: Nrusimha Deivajna's.. 2 Vols Set: Translated with Copious Notes, Balaa Sudha, Commentary Example Charts Etc. JOINT DISORDERS CARE IN AYURVEDA. JOYFUL LIVING THROUGH ASTROLOGY REMEDIES. KAKACANDISVARAKALPATANTRA; Text With English Translation. KAYACIKITSA: Body Purification Therapy: Pancakarma, 2 Vols. Vol. 2:Part A: Rejuvenation Therapy: Rasayana Cikitsa, Gerientology. 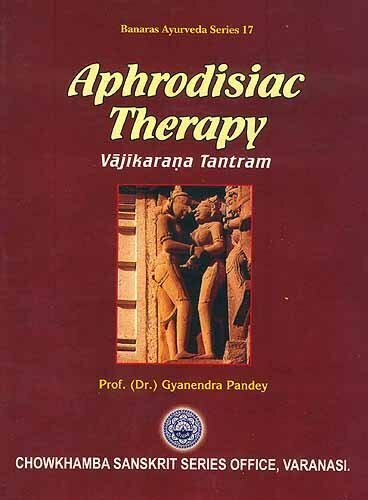 Vol:2: Part 2: Virilification Therapy: Vajikarana, Sexology. KUMARA TANTRAM OF RAVANA THE KING OF LANKA. LAGHUTRAYI PRASNAVALI: Brief Notes & Multiple Choice Question From Madhava Nidana, Sarangandhra Samhita & Bhavaprakasa with Comparative Analysis. For all P.G. Entrance and Competitive Test. LANGUAGE OF AYURVEDA : Spiral Bound. LATRO-CHEMISTRY OF AYURVEDA, RASA SASTRA: Based On Ayurveda Saukhyam Of Todarananda. LOHASARVASVAM: Of Suresvera With English Translation Elaborate Notes, Glossery, Etc. LOST SECRETS OF AYURVEDIC ACUPUNCTURE: An Ayurvedic Guide To Acupuncture, Based Upon The Suchi Veda Science Of Acupuncture-The Traditional Indian System. MADHAVA CIKITSA SUTRAMALA: Treatment for Diseases Mentioned in Madhava Nidana. MADHAVA NIDANA: Ayurvedic System Of Pathology. MAGICAL POWER OF HERBS: An Encyclopedia over 400 Herbs Described. MAGNET THERAPY: The Gental and Efficative Way to Balance body Systems. MALE HERBAL: Health Care for Men and Boys. MASSAGE THERAPY FOR DISEASES OF VITAL AREAS: Marma Treatment. MATERIA MEDICA OF AYURVEDA: Based On Ayurveda Saukhyam Of Todarananda. MATERIA MEDICA OF AYURVEDA: Based On Madanapala's Nighantu. MEDICINAL AND AROMATIC PLANTS OF HIMACHAL PRADESH: Second Ed. MEDICINAL PLANTS IN INDIA, 2 Vols. MEDICINAL PLANTS OF HIMALAYA, Vol. 1. MEDICINAL PLANTS OF HIMALAYA. Vol 2. MEDICINAL PLANTS OF INDIA : With Special Reference to Ayurveda. MEDICINES: A Guide For Everybody. MUNI KUCIMARA'S KUCIMARA TANTRAM: For Better Sexual Life, Text with English Translation. NATURAL HEALING FOR BABIES AND CHILDREN. NATURAL REMEDY BOOK FOR WOMEN. NATURE OF THE WHOLE : Holism in Ancient Greek and Indian Medicine. NEEM: India's Miraculous Healing Plant. NETRA: LOCANA DARPANAM OF TADIPALLI PANAKALARAYA. NEW TAO OF SEXUAL MASSAGE. PADARTHA VIJNANA: Basic Principles of Ayurveda. According to the Syllabus of Central Council of Indian Medicine. PANCABHUTA THEORY: A Study of Pancabhutas at Molecular Level. PANCAKARMA TREATMENT OF AYURVEDA: With Kerala Specialities (keraliya Panchkarma): Revised Edition. PANCHAKARMA: A Hand Book for Students and Practitioners. PATH OF PRACTICE: The Ayurvedic Book Of Healing With Food, Breath, And Sound. PHARMACAEUTIC OF METALS IN AYURVEDA. PLANETARY HERBOLOGY: An Integration Of Western Herbs Into The Traditional Chinese And Ayurvedic Systems. POSITIVE HEALTH IN TIBETAN MEDICINE: Based On Sman-'Tsho-Ba' i Mdo, Vaidya-Jiva-Sutra. POTTER'S ENCYCLOPAEDIA OF BOTANICAL DRUGS AND PREPARATIONS. PRACTICAL AYURVEDA: Secrets For Physical, Sexual & Spiritual Health. PRACTICAL CHINESE MEDICINE: Understanding the Principles and Practice of Traditional Chinese Medicine and Making Them Work For You. PRAKRITI: Your Ayurvedic Constitution (Revised & Enlarged Second Edition). PRAMEHA (METABOLIC DISORDERS) & MADHUMEHA (DIABETES MELLITUS) IN AYURVEDA. PRASUTI TANTRA: Text Book as Per CCIM Syllabus. PREPARATION & USES OF ASAVA & ARISHTA. PRINCIPLES AND PRACTICES OF AYURVEDIC MEDICINES. PSYCHO-SOMATIC AXIS IN AYURVEDA TREATMENT. QUESTION BANK FOR AYURVEDIC P.G ENTRANCE TESTS AND COMPETITIVE EXAMINATIONS AND WIVA VOCE OF DEGREE EXAMINATIONS. RASA SANKETA KALIKA OF KAYASTHA CAMPUNDA. RASAMRITAM OF VAIDYA JADAVJI TRIKAMJI ACHARYA. RASARATNASAMUCCAYA, Tr. & Commentary in English. RASENDRA SARA SANGRAH OF SRI GOPAL KRISHNA BHATT: Text with English Translation Parimita Bhodhini Commentary & Appendix. RASENDRA SARA SANGRAHA OF SRI GOPAL KRISHNA. RESPIRATORY DISEASES AND ITS TREATMENT THROUGH AYURVEDIC & HERBAL MEDICINES. ROGA VIJNANA & VIKRITI VIJNANA: According to C.C.I.M. Syllabus: Vol. 1. SAHASRAYOGAM: A Text Book on Keraliya Tradition of Ayurvedic Treatment. SARIRA KRIYA VIDNANA: A Text Book of Physiology in Ayurveda, 2 Vols..
SCIENCE OF SPHYGMICA OR SAGE KANAD ON PULSE. SCIENTIFIC STUDY OF MANAGEMENT OF PUERPERIUM THROUGH AYURVEDA. SECRET POTIONS ELIXIRS AND CONCOCTIONS: Botanical and Aromatic Recipes for Mind, Body and Soul. SECRETS OF LOVING TOUCH: How the Loving Touch Releases Hormones that Benefit Helth, Happiness, and Beauty and Are Essential for Complete Physical and Spritual Well- Being. The heart of this book is the index of the essential oils and their properties. SHARIRA RACHANA VIGYAN: A Text Book of Human Anatomy. SHARIR-SHUBHASHIT: Selected Recitable and Memorable Pieces of Padya (Shloka) & Gadya (Proses) of Sharir. SIDDHA MEDICINE: A Handbook Of Traditional Remedies. SIDDHANTA NIDANAM: A Text Bok of the Etiology, Pathology and Symptomatology. Vols 1 & 2. SKIN CARE AND CURE IN AYURVEDA. SKIN DISEASES AND ITS TREATMENT THROUGH AYURVEDIC & HERBAL MEDICINE. SNEHANA THERAPHY IN AYURVEDA: A Descriptive & Analytical Review on Internal Oleation. SOME LESSER KNOWN HERBAL DRUGS IN AYURVEDA. SPEAKING OF AYURVEDA YOGA AND NATURE CARE: A Comprehensive Guide on How To Prevent Diseases, Protect Health and Prolong Life. SPEAKING OF AYURVEDIC HERBAL CURES. SPEAKING OF AYURVEDIC REMEDIES FOR COMMON DISEASES: Simple Remedies Based On Herbal Medicines. SPIRITUAL BEAUTY CARE: Techniques And Practices To Enhance Your Inner And Outer Beauty. SRIVARADARAJA'S LAGHUSIDDHANTAKAUMUDI: With Eng. Version and Commentary on Sajna, Paribhasa, Sandhi, Karaka, Samasa and Stri-Pratyaya. STRESS-FREE WORK WITH YOGA AND AYURVEDA. SURGERY IN AYURVEDA: Shalya Shalakya. SUSRUTA SAMHITA: Precise Notes and Multiple Choice Questions on. SUSRUTA SAMHITA: Text with English Translation. 3 Vols. SUSRUTA SAMHITA: Text with English Translation. 3 Vols. 4 Part. SYSTEM OF PLANT NOMENCLATURE IN AYURVEDA. A pioneering effort in examining side by side two longest and continuously practiced systems of medicine. 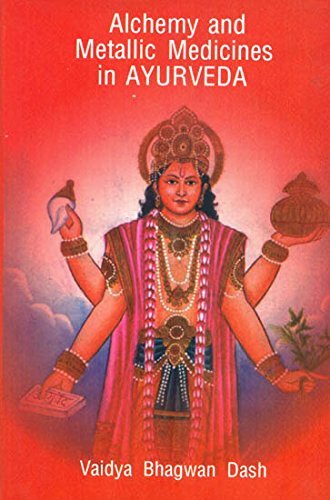 TEXT BOOK OF BHAISAJYA KALPANA VIJNANAM: Based on the Syllabus of CCIM, New Delhi. TEXT BOOK OF AGADA TANTRA: Illustrated (As per B.A.M.S.Syllabus). 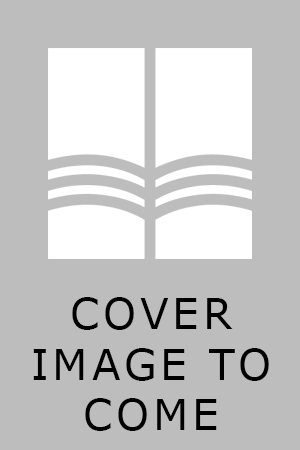 TEXTBOOK OF AYURVEDA: Fundamental Principles of Ayurveda, Vol. I.
TIBETAN AYURVEDA: Health Secrets From The Roof Of The World. TIBETAN BUDDHIST MEDICINE & PSYCHIATRY: The Diamond Healing. TIBETAN MEDICINAL PLANTS: An illustrated Guide to indentification and Practical Use. TIBETAN MEDICINE AND OTHER HOLISTIC HEALTH-CARE SYSTEMS. TIBETAN MEDICINE: The Buddhist Way of Healing. TRADITIONAL AYURVEDIC TREATMENTS OF KERALA. TRADITIONAL MEDICINE IN SOUTH-EAST ASIA AND INDIAN MEDICAL SCIENCE. A complete systematic approach to treating cancer from a holistic perspective. TRIBAL WISDOM ON MEDICINAL AND ECONOMIC PLANTS. (Uttar Pradesh and Uttaranchal). UNCOMMON PLANT DRUGS OF AYURVEDA. VAIDYAKA PARIBHASA PRADIPA OF SRI GOVINDASENA. VANGASENA SAMHITA OR CIKITSASARA SAMGRAHA OF VANGASENA. 2 Vols. VEDIC HEALTH CARE SYSTEM: Clinical Practice Of Sushrutokta Marm Chikitsa And Siravedhan, Highlighting Acupuncture. WOMEN HEALTH CARE THROUGH AYURVEDA. WOUND HEALING DRUG THERAPY: Vranaropana Ausadhi Vijnanam. YOGA AND AYURVEDA: Self-Healing And Self-Realization. YOGA AND AYURVEDA: Their Alliedness And Scope As Positive Health Sciences. 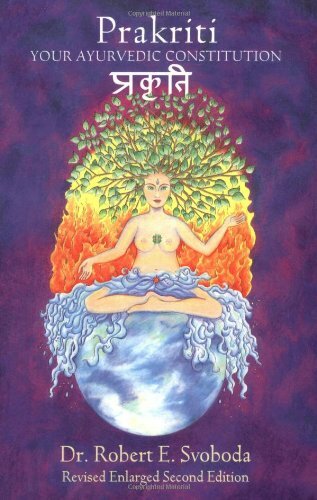 YOGA AND THE SACRED FIRE: Self Realization and Planetary Transformation. Explores the evolution of life and consciousness according to the cosmology and psychology of Fire, viewing Fire not only as a material but also as a spiritual principle. This is the first book that details how to choose Yoga asanas most appropriate for your unique body type according to the five thousand year old system of Ayurvedic medicine. YOGA RATNAKARA: The A to Z Classic on Ayurvedic Formulations Practices & Procedures. YOGA SATAKAM OF VARARUCI: A Hand Book for the Practitioners of Ayurveda Text with English Translation. YOGATARANGINI OF TRIMALLA BHATTA: Text with English Translation, Notes, Historical Introduction, Comments, Index and Appendices.